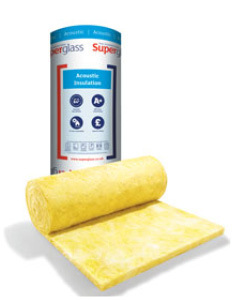 Superglass Acoustic Partition Roll (APR) is a lightweight, non-combustible glass mineral wool insulation roll. The flexible roll is supplied at 1200mm, 2x600mm or 3x400mm widths to allow easy installation between common stud spacings and minimum on-site cutting and waste. 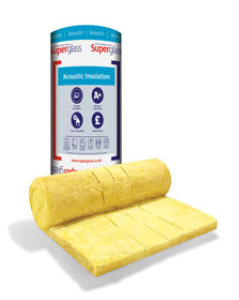 Superglass Acoustic Partition Roll (APR) provides excellent sound absorption performance in accordance with Approved Document E (England & Wales) and Technical Handbook Section 5 (Scotland) acoustic requirements. 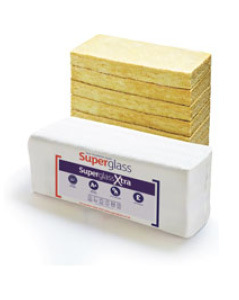 Manufactured at a nominal density of 20kg/m³ (25mm & 30mm) and 16kg/m3 (40mm & 50mm).